United Nations (United States) (AFP) – The United Nations rights chief on Monday demanded that Israel either give more than 400 detained Palestinian children their day in court or release them, decrying “assaults” on Palestinians’ rights. Featured Photo: AFP/File / ALAIN GROSCLAUDE. 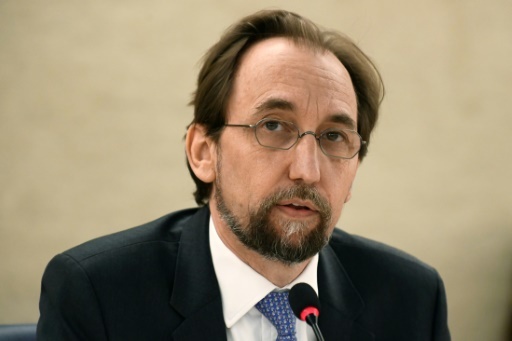 United Nations High Commissioner for Human Rights Zeid Ra’ad Al Hussein is criticizing Israel’s “administrative detention” of hundreds of Palestinian children.